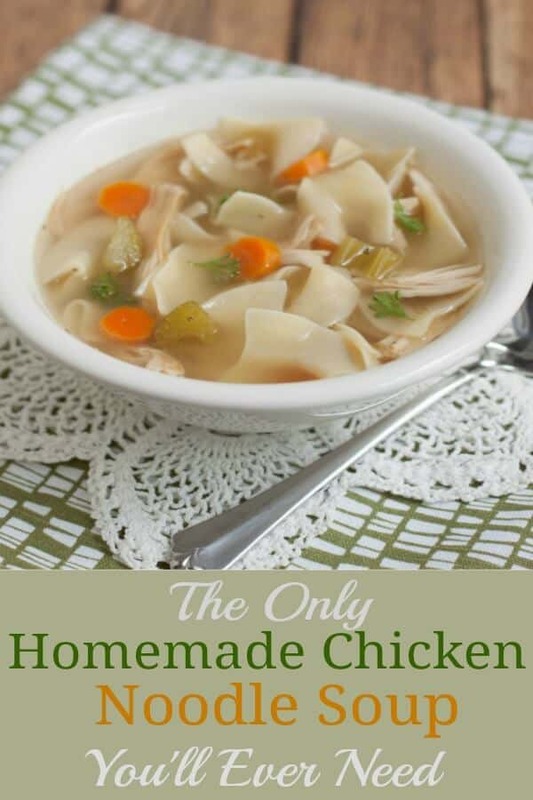 Super Easy Homemade Chicken Noodle Soup-Made 3 Ways! 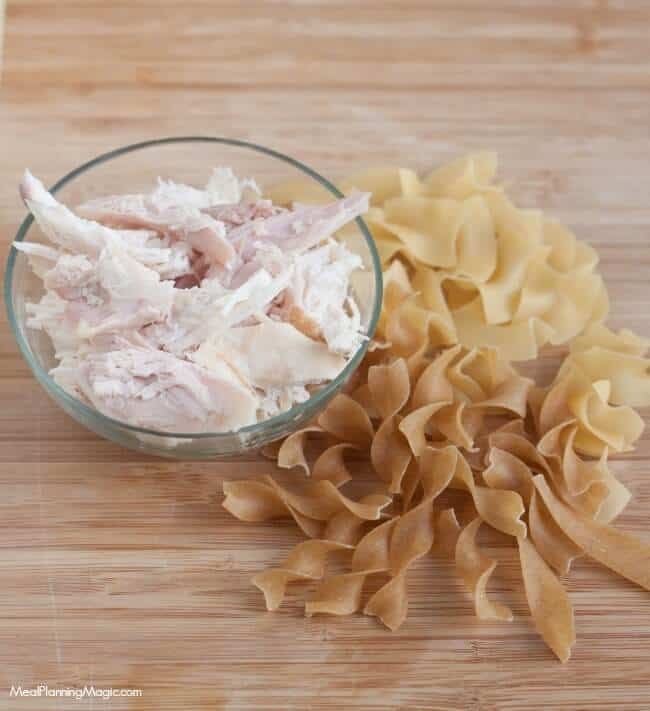 This Super Easy Homemade Chicken Noodle Soup is so full of flavor and is the only recipe you’ll ever need! Make it on the stovetop or in the pressure cooker or slowcooker! 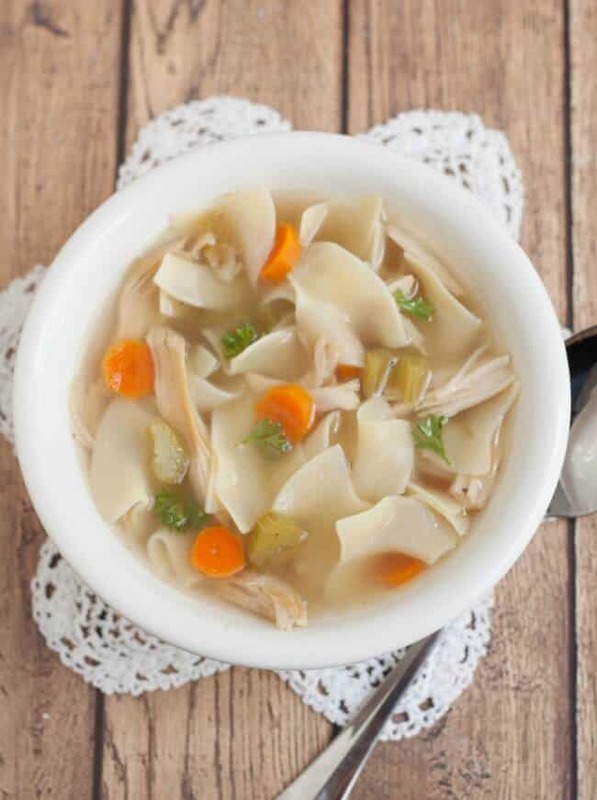 There’s nothing like a bowl full of Super Easy Homemade Chicken Noodle Soup to satisfy that comfort food craving any time of year. If you thought it was too difficult to make it from scratch, think again. All you need are a few basic ingredients that you probably already have on hand. 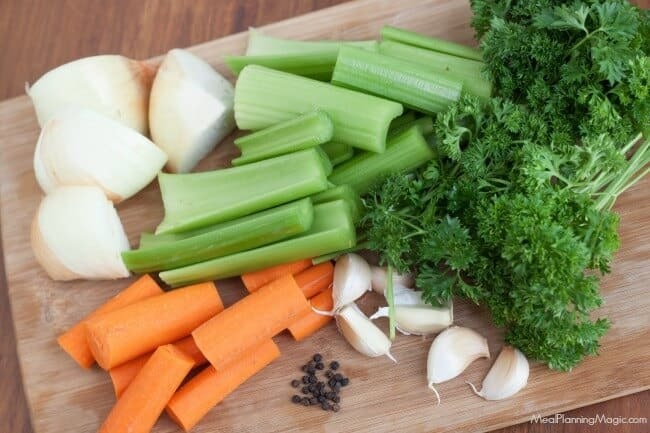 I love all the fresh vegetables that go into this soup—carrots, celery, onion and parsley add some great color, and of course nutrition, to the soup’s broth. This recipe is one my dad makes a lot. It’s originally from a local restaurant here in Houston, Rudi Lechner’s, but I adapted it slightly to make it more to our taste. The recipe appeared in the newspaper years ago. My whole family LOVES it! Stovetop, Slowcooker or Pressure Cooker-Make It Your Way! 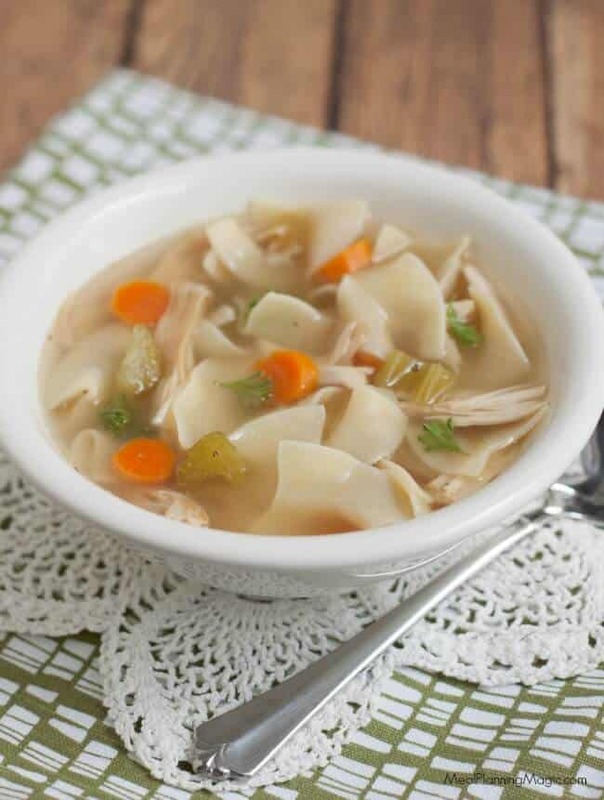 Whether it’s cold or rainy outside and feels like a “soup kind of day”, you’re feeling under the weather or you’re just looking for some classic comfort food, my Homemade Chicken Noodle Soup recipe is so easy. Plus, you can prepare it with three different methods-stovetop, slow cooker or pressure cooker–depending on what you have available and your available time. I provide the instructions for you in the recipe card below. I originally shared this recipe over six years ago and since then have experimented making it different ways. Each time is just as delicious and I love having different options for making the soup. Leftovers keep well in the refrigerator and of course, you can portion it out and freeze for later too. Minus the noodles though as they might get mushy. I use a large mesh tea/spice ball to hold the garlic and peppercorns so they’re easier to get out of the broth when it’s done cooking. You can find them in the kitchen section of stores like Target or Wal-Mart but also online. Check out my Amazon shop to find them there and many other of my favorite kitchen tools and items if you prefer to order online. I start with a leftover Slowcooker Rotisserie Chicken that I had on hand. Of course, you can also use leftover rotisserie chicken that you have purchased. I like to buy the ones from my local wholesale club when I’m short on time or just not in the mood to make it myself. Did you also know you can freeze the rotisserie chicken carcass until you want to make soup? I do this all the time! We use whole-grain egg noodles in this soup for a tad bit more extra dietary fiber but you can use regular egg noodles too! My family didn’t seem to notice the difference and I actually liked them a little more than regular dumpling-style pasta. 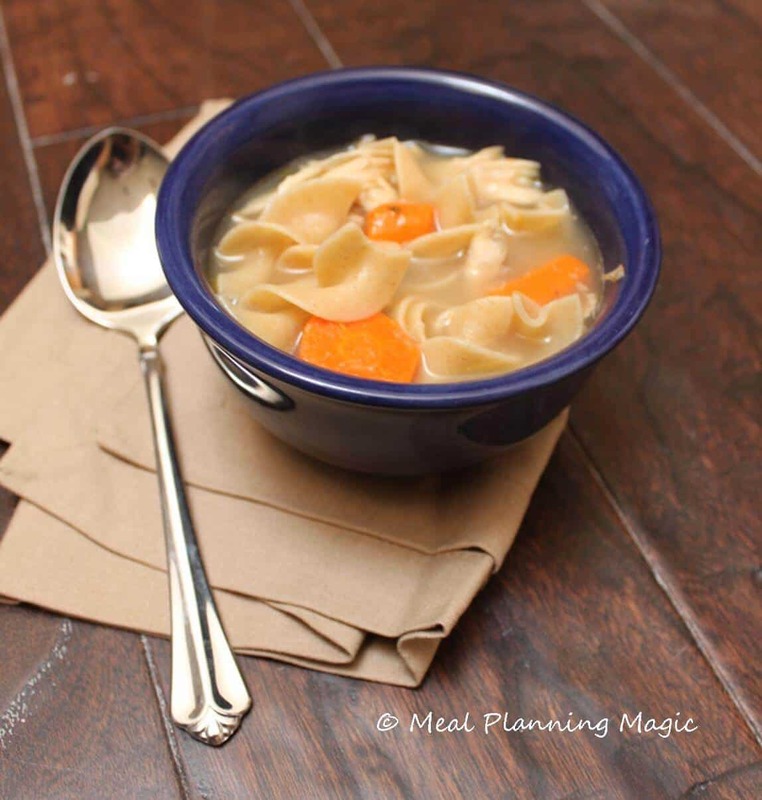 I hope you’ll give this Super Easy Homemade Chicken Noodle Soup a try—you’ll be happy you did! Will you make it on the stovetop, in the pressure cooker or slow cooker first? 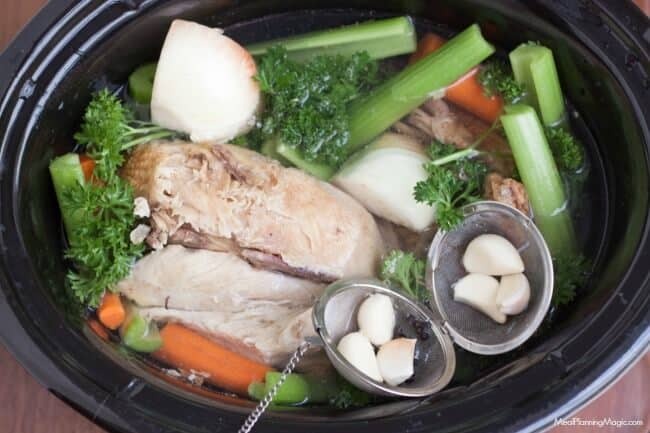 Place chicken carcass in large pot (for stovetop), 6+ quart Instant Pot or 6+ quart slowcooker. Add carrots, celery, onion, garlic, parsley, peppercorns, salt and Worcestershire. Bring to boil and reduce the heat to a simmer. Cook at slow heat for 1½ to 2 hours. Set for High Pressure for 45 minutes. Let naturally release for at least 30 minutes. Strain stock and cool and store for later use, or use immediately. Cook on Low setting for 8-10 hours or High setting for 4-6 hours. When broth is done cooking, strain the soup into a large bowl using a large colander. Return clear soup to the stove. Slice carrots and celery small, dice the chicken and return with the noodles to soup. Have a question or want to share recipe ideas with others? 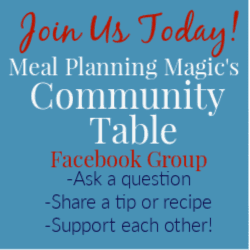 Then join my private Facebook group, Meal Planning Magic Community Table here. And don’t forget you can always follow me on Facebook, Twitter, Pinterest , Instagram or Google+. They all offer a little something different and are a great way to stay in the loop on new menu plans, recipe ideas, giveaways, organizing tips and more! Homemade chicken soup is a big favorite around here. I leave the skin on the onions for the broth because it helps with that lovely yellow color! 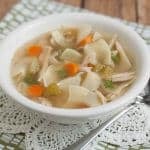 If you submitted your Homemade Chicken Noodle Soup photos to http://www.foodporn.net , I’ll bet they will make you on the home page. Super easy, indeed. I love this recipe already, even though we’re going through the hot weather season, I still love to have soup every now and then. Will sure try this! Thanks Diana–I hope you like it!